Success in life is all about wholesome, positive relationships. 87% of our success is directly related to our ability to get along with others! 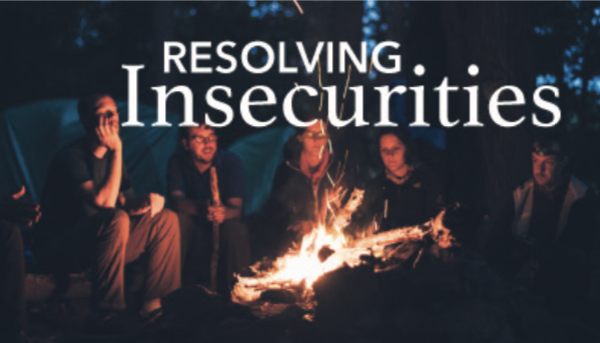 90-95% of all the people we come in contact with are moderately to severely insecure! We are included in that 90-95%! An insecure person doesn’t know their true value, so they feel rejected, unaccepted and abandoned. Unresolved insecurities control and influence our decision-making processes, which ultimately determine our future and hinder our success! Nothing kills relationships quicker than unresolved insecurities. They destroy relationships, driving more people out of business and ministry than anything else. Most people just hide their insecurities, living behind masks and denying their true selves—and believers are sometimes the best at it! But in hiding our insecurities, we slowly lose who we were created to be. Hiding your insecurities is like treating cancer with an aspirin—it might make you feel better for a couple of hours, but it won’t fix the problem. Getting along with others actually has more to do with us than with them. Knowing God and His love will positively affect our relationships, but we still need to work on our people skills. The true mark of a mature Christian isflexibility and tolerance. And Christ gets along with us based on who HE is—not on us. 2. Find Something Good in Others. Those who are not like us may seemstrange or weird. We find reasons not tolike, accept or get along with them. Confronting others to “straighten them out” will always create strife, even if we are right! 3. Stop Taking The Easy Way Out. Sometimes it’s easier to simply avoid other people. But this should be a last resort. Don’t get me wrong—some you just have to love from a distance! 4. Settle in Your Heart That It’s Okay to Disagree. Usually this is a big problem for insecure people. 5. Remember, People Will Always Be People. It’s impossible to have relationships and not have offenses! This is one of the greatest things I’ve learned over the years. It’s not what happens to me, but what happens in me that really matters! 6. Learn to Listen to Others. We must be willing to listen to other people! Clearly, flexibility and tolerance are the true marks of a mature Christian.